Need more strong functionality for your Magento 2 store? Here is the list of 55+ free & premium Magento 2 extensions to increase sales on your eCommerce website. 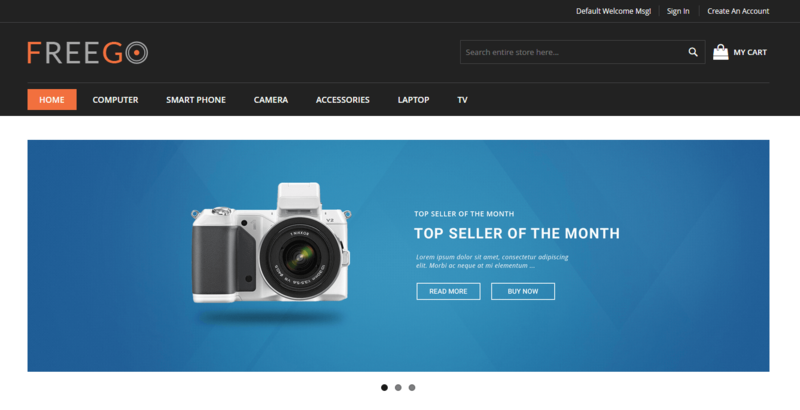 7 In 1 Catalog Slider Magento 2 extension allows you to present your store’s product in category wise like Featured, Best deals, Bestsellers, Last ordered, Most viewed, New, Promotional, etc. It will help you to present your catalog in a unique and modern way. You can display it on the home page or any CMS pages of your website. This extension will improve your store’s presentation and drive your customer’s attention easily. Searching the unique way of presenting your product categories. 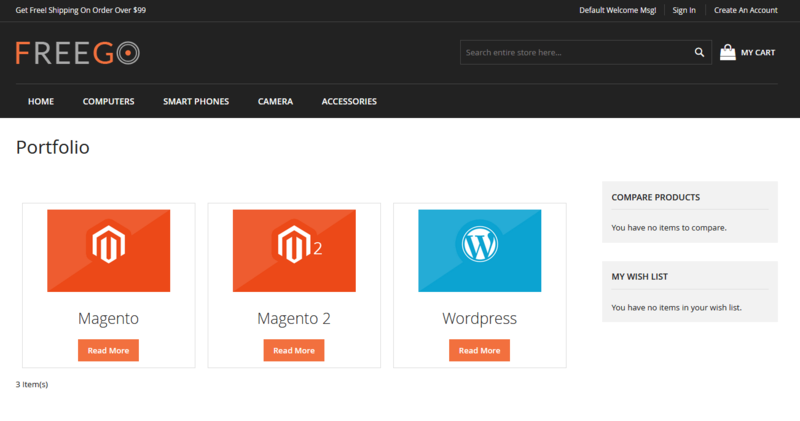 Here is the solution – Advanced Category Slider Magento 2 extension. It will show your product categories with the particular category page with category thumbnail, category name, and description. 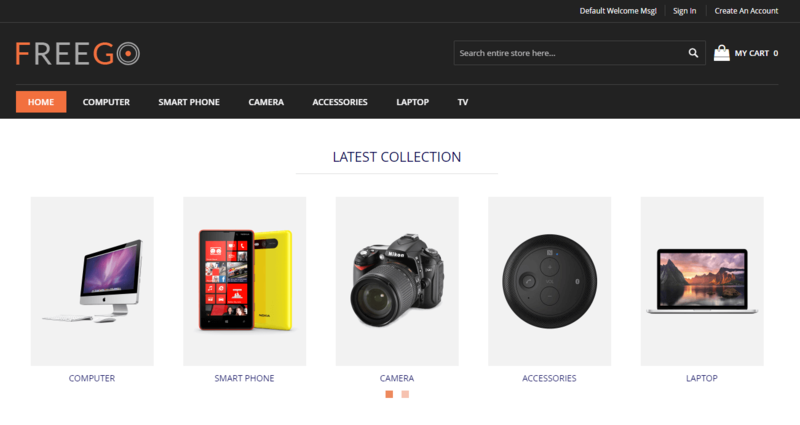 You can display categories block with an attractive slider on homepage & category pages. It can improve your store performance and usability. Sorting can help your customers to find their favorite product easily, so ultimately it will increase sales on your website. With the help of Advanced Sorting – Magento 2 Extension, You can add various options like best sellers, most viewed, the biggest saving, rating, etc. Admin can add custom sorting the rule easily from the backend. This extension is easily enabled/disable from the backend. It is the most helpful extension for the store having a large database. Shop by Brand Magento 2 extension name itself suggests that it is used for branding e-commerce store. 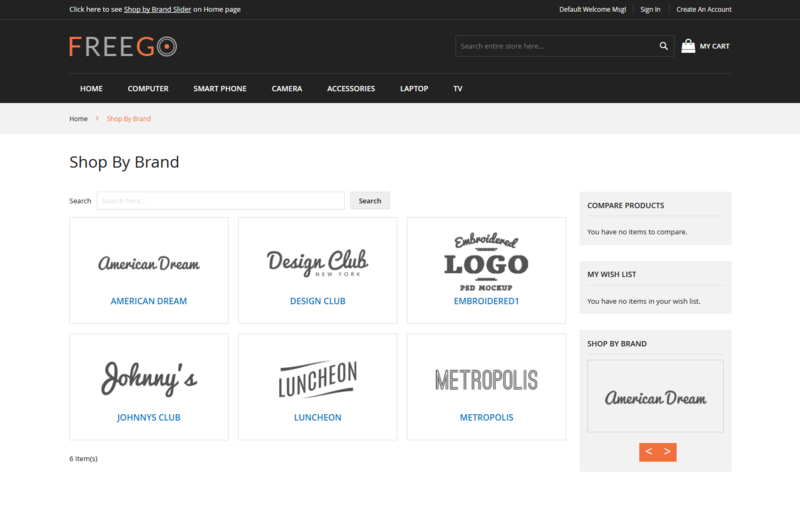 This extension is in demand by each and every online store for a custom brand page that displays a list of brands. It helps in increasing customer purchasing power by adding brand value. Helps customer to search particular brand from your store. Admin can manage to display shop by brands in sidebar area and can also put the limit for the sidebar. Google Custom Search is the most useful Magento 2 extension that enhances the search functionality of the website. It helps to improve your google search with image and text to get the powerful result. Magento websites are mostly relying that customer search their desired product on the search bar. For that, this extension helps to the website owner to define their own search engine for their website. This extension also helps you to increase the website’s SEO and global rank. To move from one page to another is very time-consuming, this extension gives you an easy navigation process. Instead of going back to the catalog page, you need to simply click the next or previous button. Buttons can keep both in the text as well as image formats. 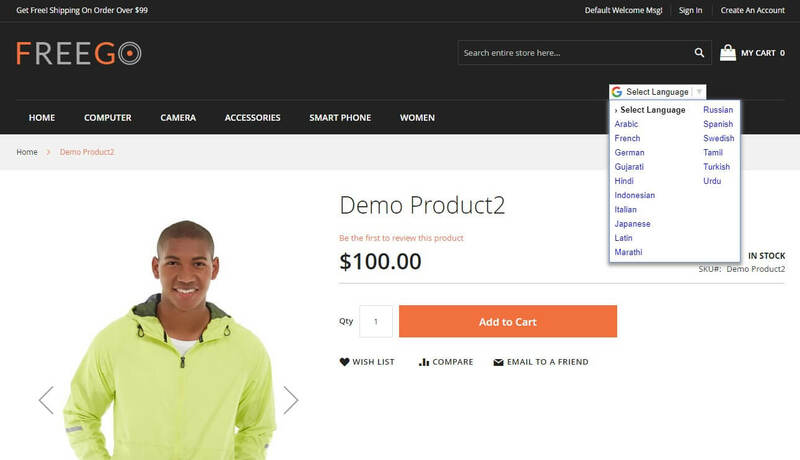 Previous Next Product Navigation Magento 2 extension makes the navigation process of your website very simple and easy. A blog can help you to expose your business to a new audience and drive relevant traffic to your website. Advanced Blog – Magento 2 Extension provides an easy way to do it. In your blog section, you can include blog image, title, content, tags, date etc. Your site visitors can comment on your blog also. With the help of this extension, you can provide official information on your stores latest news, offers, new launch, upcoming events, products, promotions, etc. Keep your customers aware with the latest happenings on your store using Advanced News – Magento 2 Extension. 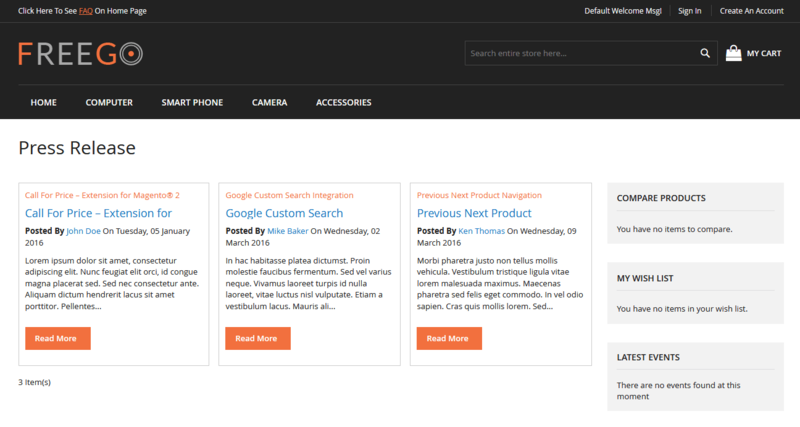 You can display your store’s news in the sidebar or any CMS pages date wise. It can help you to present various types of news like the latest blogs, promotions, latest advertisements, achievements, news, special offers for products etc. This extension is profitable to the store owner, who has a large customers database. Ultimate Portfolio Magento 2 extension will enhance your work visibility by displaying your services to your customers in your website. Using this extension you can showcase all your previous work or services based on which your customer can rely on you for their work. it will help in attracting your customers by your work. For example: If you have an online clothing store, sell unstitch dress materials and you are also providing stitching services, then you can show your previously stitched collection by using this extension. Our Services – Magento 2 extension helps to display essential services on your website. In that widget, the store owner can display details as an image, short description and read more link. This extension allows the store owner to tell the customer about their services and whether it currently offered or not. The store owner can also add meta description and meta keywords that help to SEO of the website. It also supports multi-store environment. 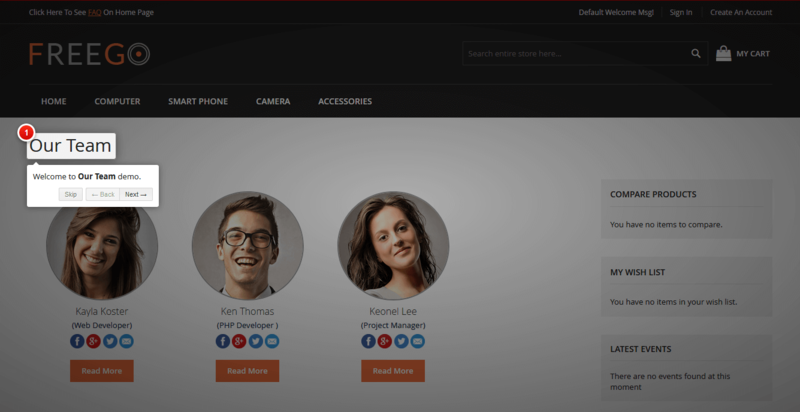 Our Team Magento 2 extension allows showcasing team members details in the website front end. 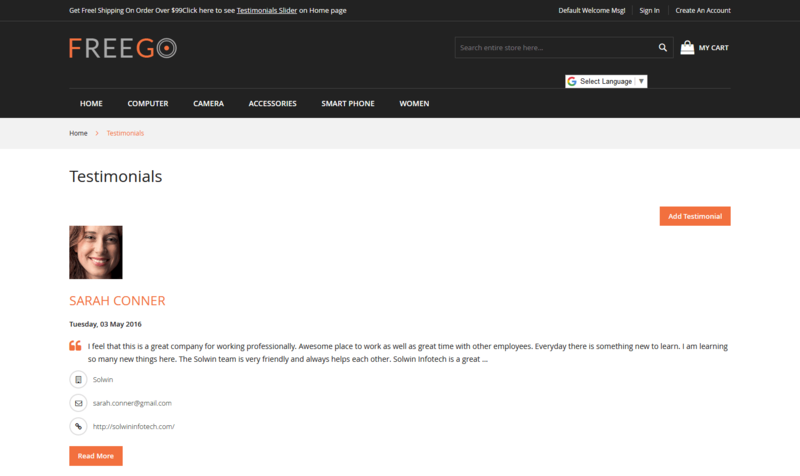 The store owner can display ‘Our Team’ link to the Top menu as well as the footer link. It also provides a social media profile for every team member. 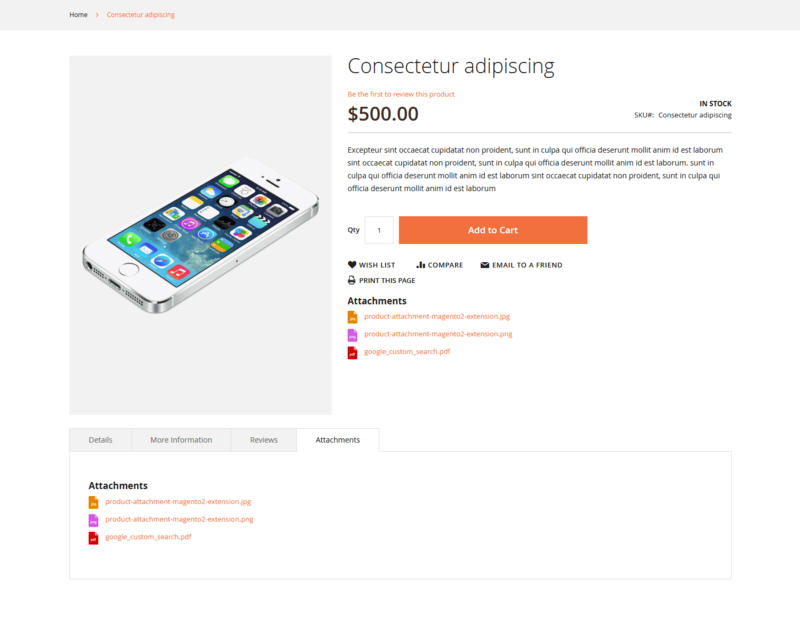 This extension helps you to create one section for your team to display on your website. It easily manages all the basic details of the team member like name, image, description, email, etc. Press Release Magento 2 Extension helps your customer to get updated with the latest news, press release, documentation, services, etc. 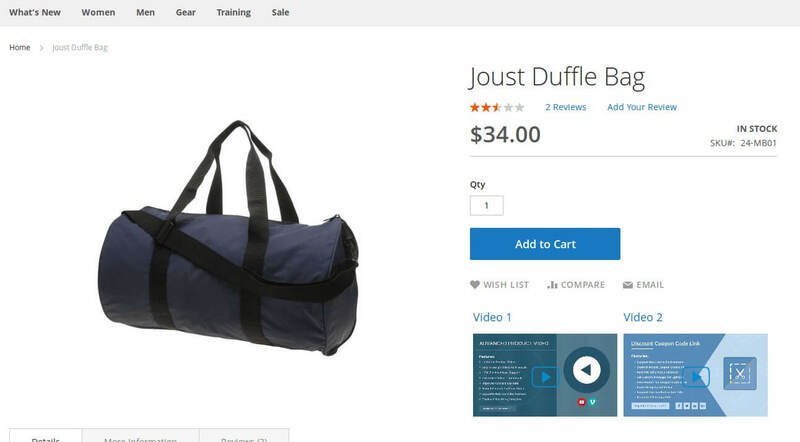 This extension establishes good communication between online store owners and their customers. With the help of this extension, you can easily share your latest press release on social networking sites. It is the best means to get visitor engagement in your eCommerce store. 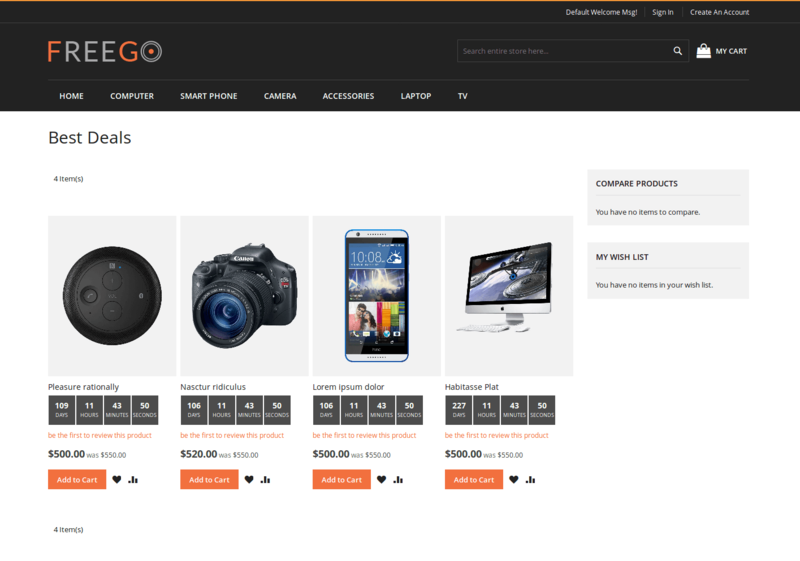 Advanced Product Labels – Magento 2 extension will help you to create an attractive catalog of your products. It will motivate your customers to buy more products from your website. You can use custom images to create unique labels for your products. Using this extension, you can add various labels like Hot, Best Selling, Sale, 50% off, Featured, New, etc. It will definitely increase conversion rates on your website. Nowadays, more customers prefer to watch a video rather than reading the text. 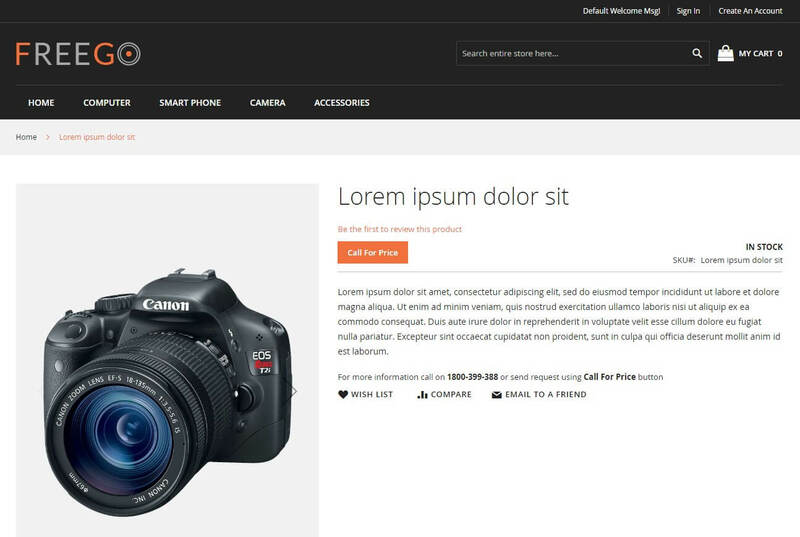 Make your product details page more descriptive with the help of a Advanced Product Video – Magento 2 Extension. It will help you to improve conversion and expand marketing reach. You can embed video from YouTube, Vimeo, etc. And supports various multiple video formats like .mp4, FLV, etc. You can use this extension to attach video tutorials, reviews, testimonial or marketing videos to your product description. Hide Product Price is the most compelling Magento 2 extension. For Non-registered users, it hides the product price and adds to cart button. The store owner can also hide the price for the particular product also. 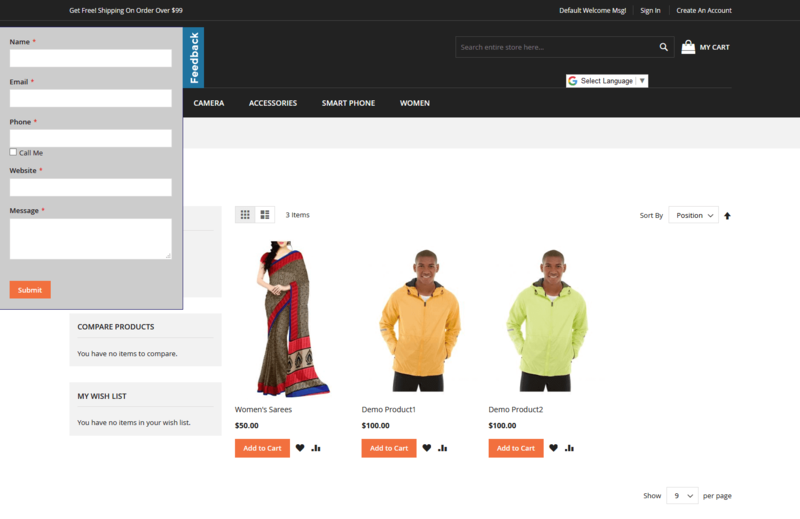 When any visitor wants to perceive product price then, he needs to first register and login. This extension help to get more registered users. It also displays the custom message on the product detail page. Worth using this Extension. Print Product Page is an excellent solution to help you print product detail page, with only necessary information by avoiding those unimportant parts like header, footer, and sidebar from the product page. Store owners can use text or print this page icon link and by clicking that link a new popup window gets generated with store logo in the header, product URL, product image, etc. It is a quick and standard way to help your online customers get their product page printed. Product Attachments extension helps stores owners to add numerous product related documents for download in different formats like pdf, doc, jpg, jpeg, etc. on product page details. Of course, you can also set restrictions to download any particular page from the admin site. Attached files can be shown on product detail page in attachments tab or inside product info block. Product Page Inquiry extension both registered as well as unregistered customers can ask direct questions to the admin. Customers need to fill an inquiry form that gets displayed in the form of pop-up and then admin gets the email notification. Product Inquiry plays an important role to clear the doubts of your customers and let them enjoy shopping. With the help of Product Questions extension, your visitors can ask any question they have in their mind directly on the product page under Q&A section area. It’s a very simple extension that helps your customer get their doubts, query or any further information they would like to know more about a particular product. And after getting approved by the store owner, the answer of a particular product gets displayed on the product view page under the Q&A tab. Quick View Magento 2 extension is a must have for every online business owner. By using this extension your customer can easily check out necessary product information like product image, price, configuration, short description, etc. in the pop-up window. It also facilitates your customers to add their required product to Cart/Wishlist directly from pop-up without waiting for long for the detailed view of a product. Testimonials can help you to enhance your store’s credibility and engage more customers. So, customers can purchase from your store without hesitation. You can easily add a testimonial to your store with the help of WYSIWYG-editor. You can present your testimonial in an attractive way by uploading an image. With the help of this extension, you can easily collect testimonial from your customers. AJAX Newsletter – Magento 2 Extension allows your customers to subscribe to your store without reloading the whole site. It will provide more effective and user-friendly experience to your site visitors. You can apply various setting on a newsletter popup box like entrance popup animation, delay option, etc. You can set cookies to hide newsletter from customers. You can apply auto close option as well as a scroll option to apply animation to your newsletter form. Who Viewed This Also Viewed Magento 2 extension, generated automatically tracking of real behavior of your customer’s website as well as display related products of an item based on real purchaser behavior. This extension smartly helps in customer’s purchasing decision when they see what other customers have considered. It will make your customers engross the most they can with your products and will speed up your sale. 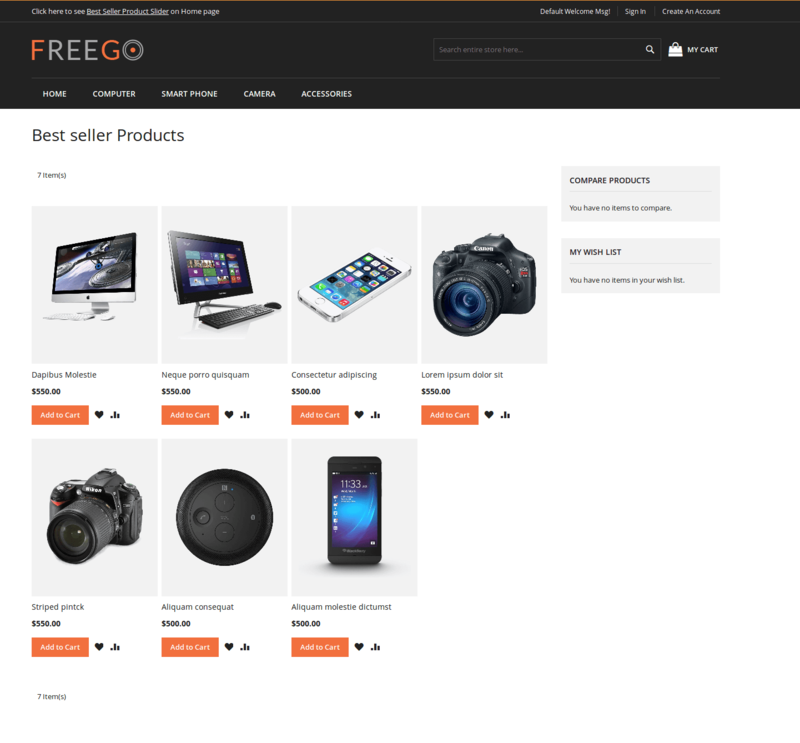 Use Best Seller Products Magento 2 extension to display your best selling store product through the slider. 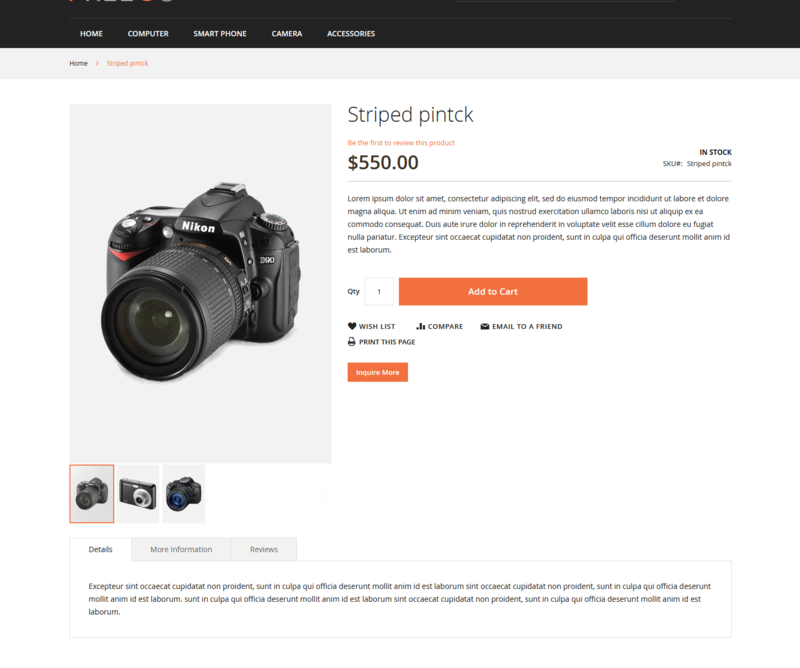 This Magento 2 extensions show best selling product images on the left/right sidebar or dynamically in a slideshow with auto-scrolling. 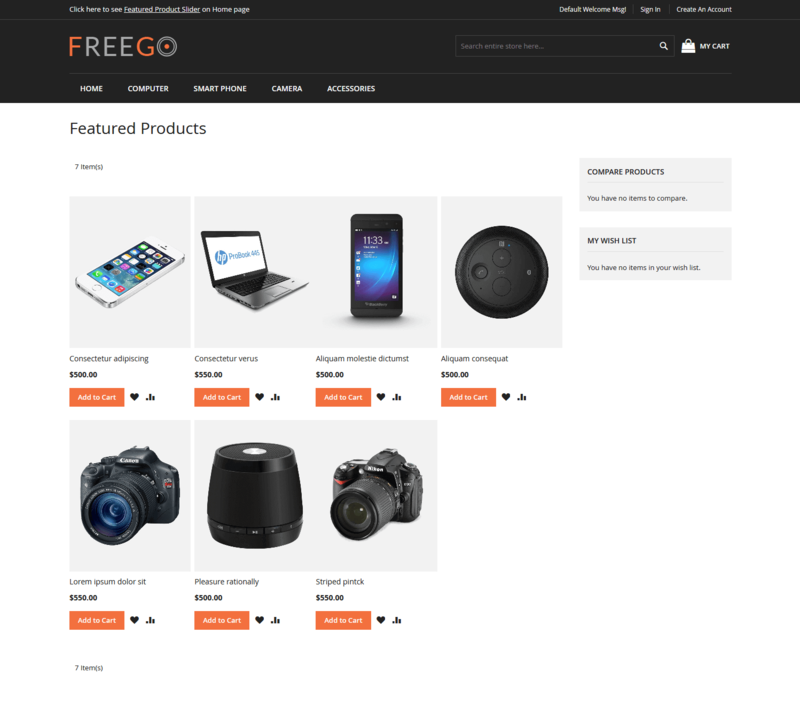 It shows system generated products as a best seller. Admin can display best seller products on the home page and also in the left/right sidebar as a widget in a slider with navigation arrow. Most Viewed & Sold Product Count Magento 2 extension helps you to display most viewed products by the customer and maximum sold products count. It shows to the customer that your product is more valuable and demandable. It displays a real-time count that encourages visitors to buy that product. 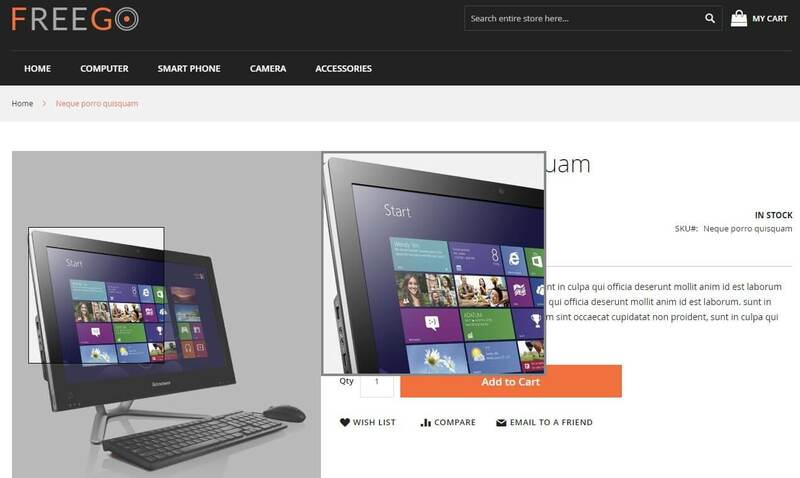 This functionality displays on the product detail page to attract the attention of the customers. 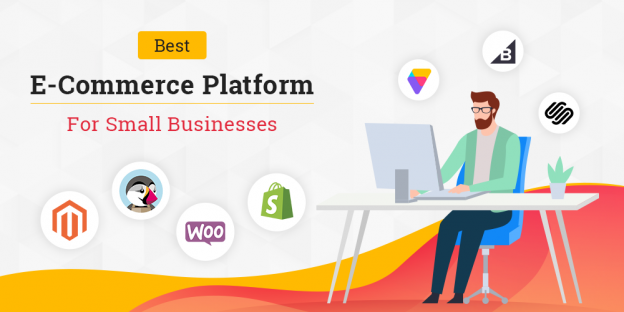 The best extension for eCommerce portal. 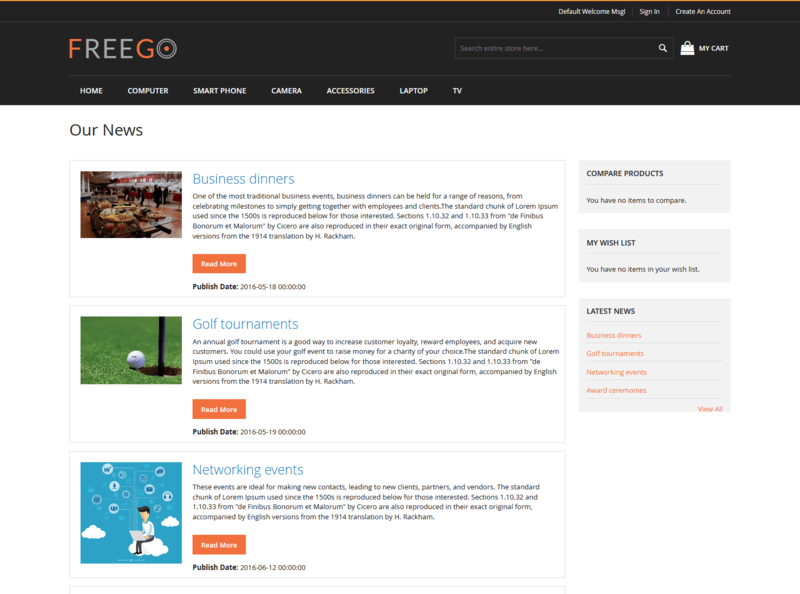 Events Manager Magento 2 extension helps to add events on the website. It presents the latest events to the visitors on the website. There has one event listing page where exposure of all the events according to date with all event details like event title, images, description, etc. This extension has used WYSIWYG editor to add nice looking event details. It is the best extension helps to aware about companies event to the customers. Product Review is a very essential extension for every online store. It enables your customers to share their experiences with the products they have purchased from your store. Customers can easily upload their reviews along with their image that requires no registration. It not only increases the number of visitor’s engagement but also increases the number of sales on your eCommerce store. 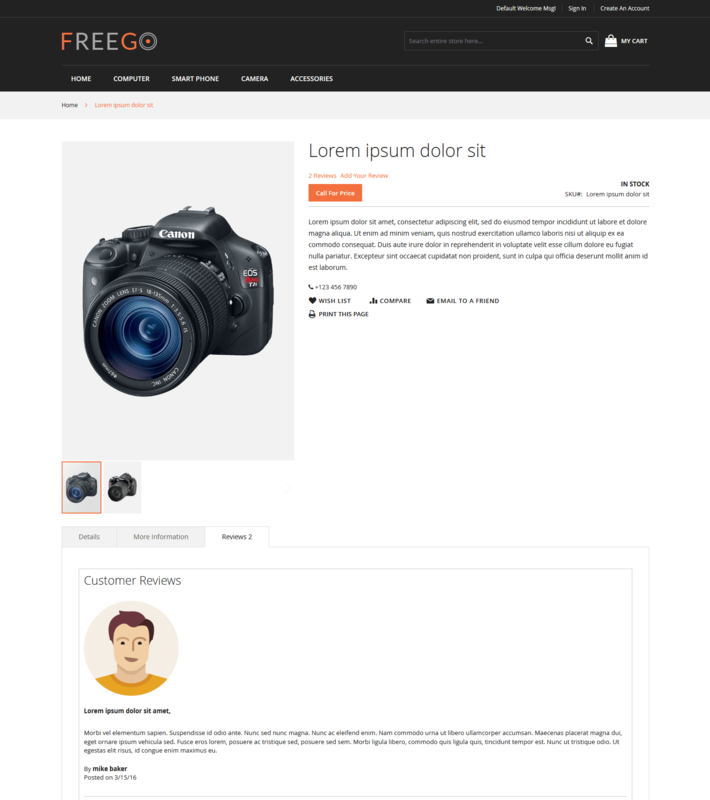 Attribute Tooltip and Image Magento 2 extension allow you to add in detail description about your product attributes. You can make your product attributes more attractive by adding images to it. With this extension, you will get 4 different types of layouts to present your tooltip. You can apply different settings to this extension like the position of the tooltip, animation effect & speed, tooltip arrow color, etc. Static Block Import/Export Magento 2 extension will help in updating and maintaining existing static blocks. As these days maintenance of medium and large e-commerce website is becoming difficult day by day due to increase in online data. This extension has one more feature i.e it can help to import and export static block from old site to new site via CSV file format. Customer Attribute Magento 2 extension will help you in marketing strategies. As these days competition is increasing day by day so to tackle that this extension is the must. 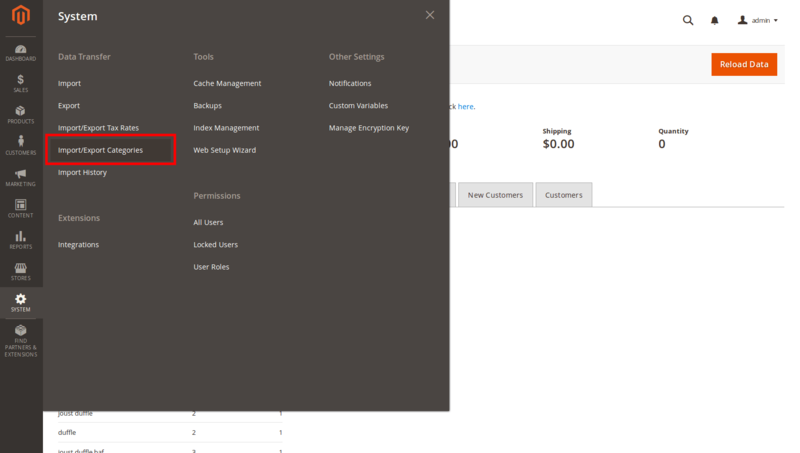 A store owner can create additional fields on the customer account register page, customer account edit page and admin manage customers. Main purposes of using customer attribute are to get customers details related business and personal information for better decision making in marketing. Bookmark Manager Magento 2 extension is extremely useful for store owners who frequently visit particular pages at admin side. Admin can place most visited pages in a drop-down list. Save admin URL, including customer view, order, CMS or product pages, sales pages, marketing pages etc. You can set the title to bookmarks so that you can recognize the saved link easily. CMS Page Import/Export allows the store owner to import or export CMS page details. This extension helps to transfer existing CMS pages from Magento 1 into your new Magento 2 installation. It is also used for medium to large sites which have hundreds of CMS pages. This extension is specially designed to simplify some routine of Magento tasks. It import or export page details like page title, meta description, cms content, layout all cms option, etc. Cash on Delivery is one the influential and powerful factor of eCommerce portal. It is the most popular mode of payments for an online store. Check Cash on Delivery Magento 2 extension helps to check cash on delivery facility available in which areas with the Zip code functionality. It helps to check and restrict cash on delivery on the product detail page. The store owner can easily upload CSV file to add or update bulk zip codes. Category import or export Magento 2 extension allows to import or export categories and subcategories. This extension is easy to operate and helps to simplify the routine Magento task. 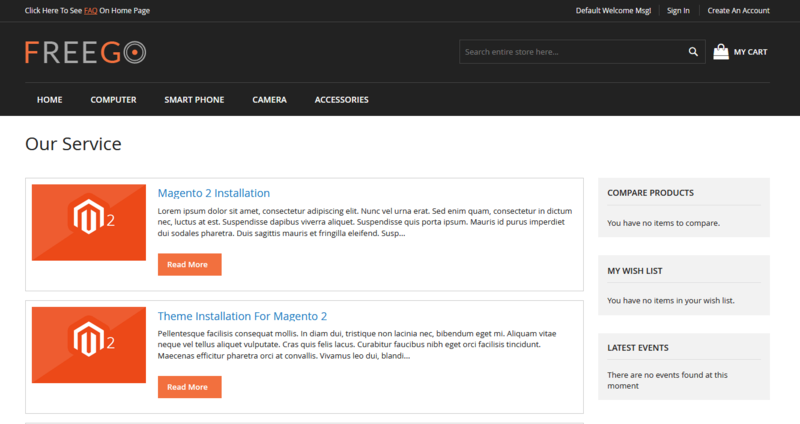 It becomes easy to add and update categories into Magento store using CSV file. It also helps to create multiple categories at a one time. This extension import or export categories details like product description, meta title, meta keywords, images and many more. Call For Price Magento 2 extension allows admin to remove price & add to cart button for specific products and replaces it with Call for price button. Store owners can use this extension in case of products with fluctuated prices, products not available on the store, price depends on quantity. Customers can make a request for a product price using submitting the form on product details page, product list page and search result page. Cancel Order By Customer is an amazing Magento 2 extension for customers. It allows them to cancel their pending orders from my account dashboard. It will also notify the admin about the cancel order via email. This extension generates a cancel order link in my account dashboard & my order page from where the customer can cancel their pending order by clicking on a link. Best Deals – Magento 2 extension is the most helpful extension of the ongoing festival season. You can present your trending deals in the most attractive way with the help of this extension. It will allow presenting your offer with attractive countdown timers. So, it will easily indicate your customers about the current working offers status on your store easily. It will create urgency in your customer’s mind and boost your site’s sales easily. Share On WhatsApp Magento 2 extension helps your customers to share and promote their products in the easy way. Add features in product details page, support in all mobile having WhatsApp app. It also displays the alert message if the customer shares product information using a desktop device. You can also customize the WhatsApp button from a backend. Promoting and marketing new products become easy with the use of this extension. Featured Products is the best and free extension to display special products on the website an eye-catching way. 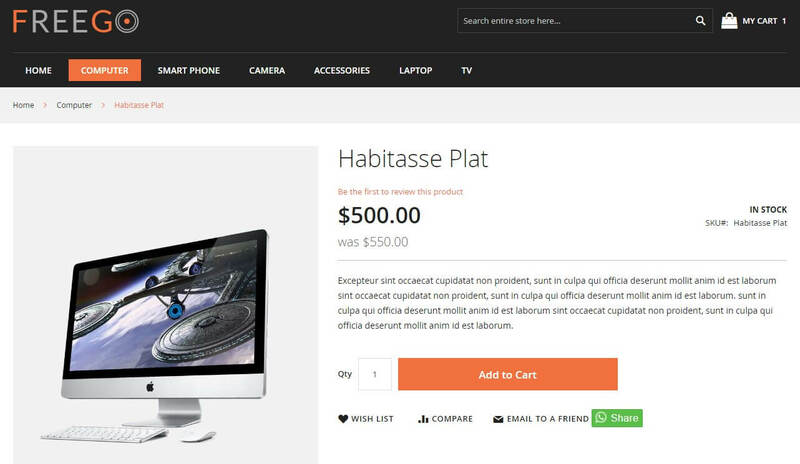 Displaying featured products on an eCommerce website that helps to attract the visitor’s attention and increase sale. 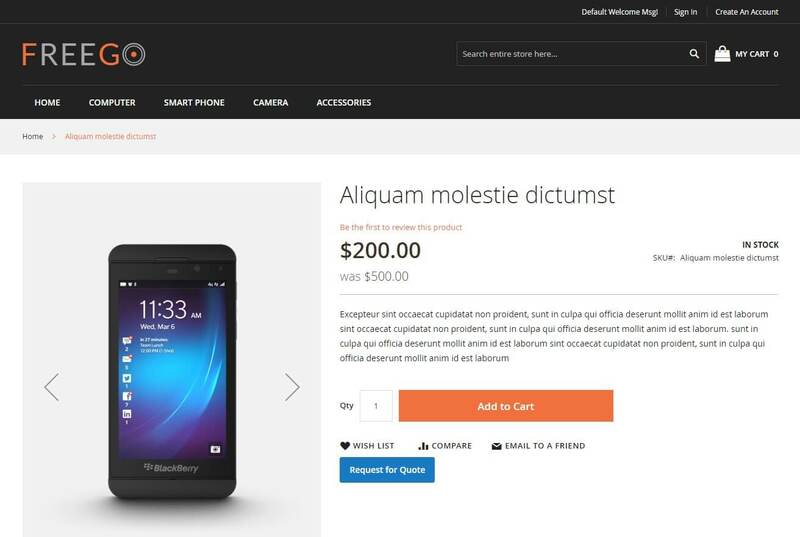 This extension helps you to create feature products slider that creates homepage more professional and attractive. It displays the specified number of products in the grid layout with the thumbnail of the products. Do you want to increase the numbers of subscribers to your website? Advanced Newsletter Popup – Magento 2 extension is the solution. It will allow you to display a newsletter popup form to your website visitors. It is a very easy solution to customize and configure with your store. This extension can help you to increase the revenue of your store significantly. You can include social media icons in your newsletter popup form also. Nowadays, every eCommerce portal uses discount coupon codes to attract new visitors to their website. This Discount Coupon code link Magento 2 extension helps the store owner to generate the discount coupon code and share it in the different social media accounts, emails, blogs, and newsletter. This extension helps to increase user engagement easily and earn loyalty in an effective way. It also helps to turn your website into fully featured coupon or deals website. Attractiveness is a great means to gain traffic to any online store. 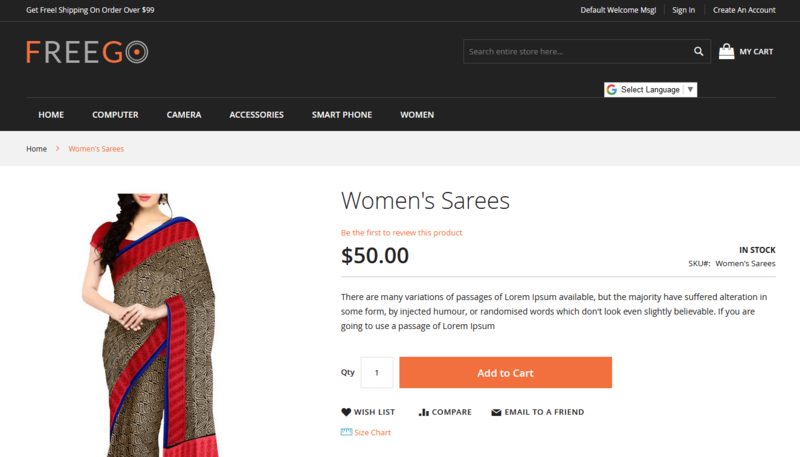 With Responsive Banner Slider you can easily attract visitor’s attention to your eCommerce store. 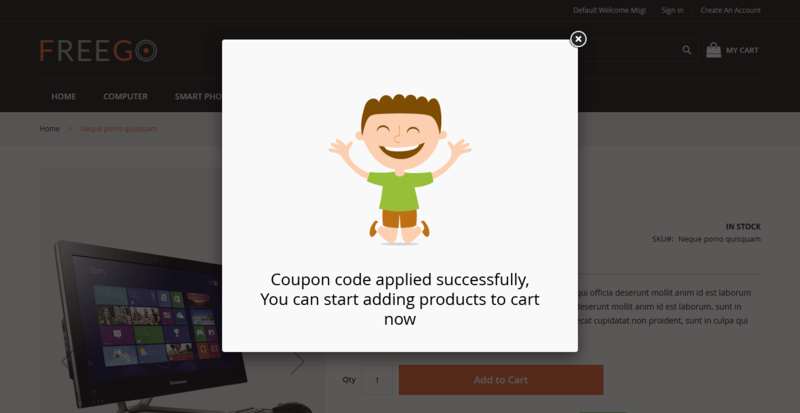 This extension gives you tonnes of slider effects to let you promote your latest products, brands or offers in a more beautiful and attractive manner that encourages your visitors to remain sticky in your store for long. Site Maintenance & Coming Soon Magento2 extension plays one of a very important role in any e-commerce store. Look & feel is the very important feature in any e-commerce portal these days. It allows the administration to enable or disable the maintenance mode for the store. It will display maintenance page in accordance set from system setting. Helps to maintain log file for all the visitor that hit during the maintenance phase. Size Chart – Magento 2 extension is one of very popular and demanding extension in fashion store. One of the major reason to worry when buying clothes from an online store is “Size”. Size chart extension encourages customers to buy a product of their choice. This extension allows admin to add size chart in two different ways in product view page i.e – In Popup and OnPage. Admin can easily customized size chart by using WYSIWYG editor. 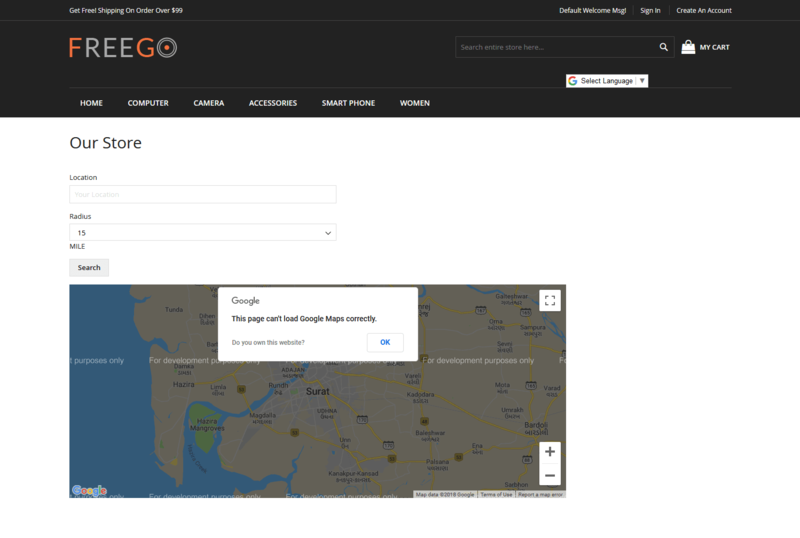 Store Locator – Magento 2 extension can help your customers to find a store location nearest them and obtain directions. A store owner has right to set default zoom value of initial map, default radius value, radius in mile & kilometers and can also map marker image. Facebook and Twitter integration allow your website to integrated with different social media accounts. The Social Media Integration is one of the most compelling integration for any online website to attract more visitors to their website. It provides several configurations like manage or display no. of tweets, easy to add any CMS pages, sidebar integration, etc. It also helps you to provide the latest news and offers to customers through social media. FAQ Manager Magento 2 extension allows visitors to ask the question to the website owner. Visitors have lots of questions arise before purchasing any products for that this extension is perfect for online website. This extension helps you to manage your FAQ list. It helps you to set your FAQ list with a list of categories and questions with answers. 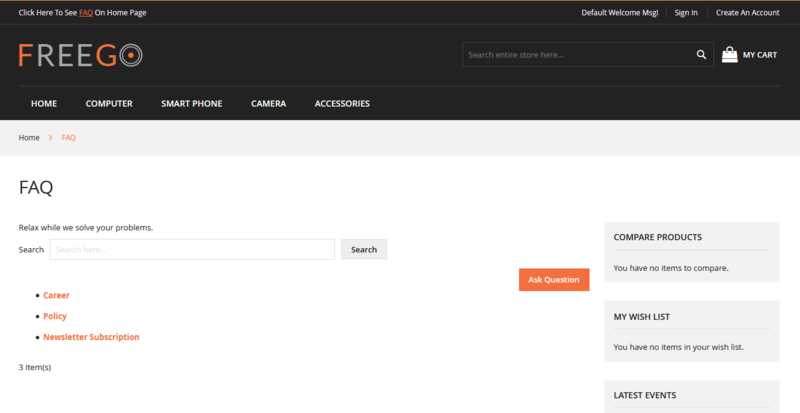 You can display FAQs on any CMS widget or sidebar and provide better communication with visitors. Flickr Widget is a free extension that helps you to integrate with your Flickr gallery. 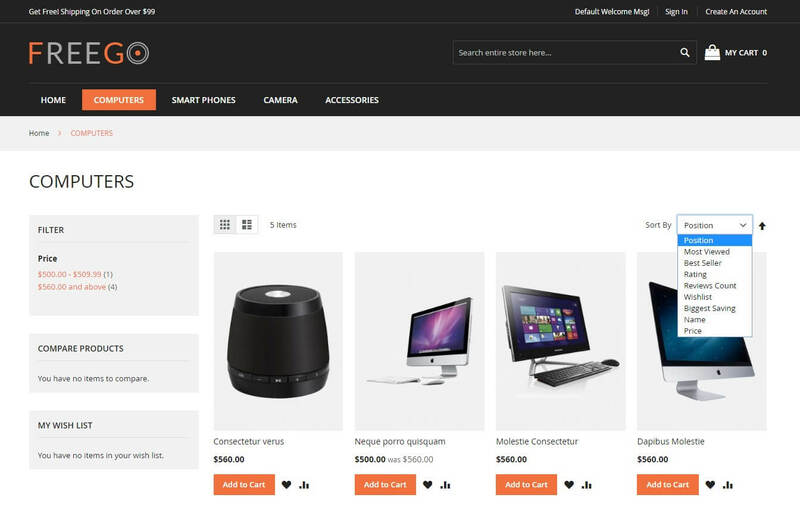 It is used as a Magento widget, and store owner can add it to any CMS pages or blocks. It is fully customized and user-friendly Magento 2 extension. When you upload an image on Flickr gallery that automatically displays on the websites Flickr image latest feed. Google Translate Integration – Magento 2 extension allows translating the website to more than 90 languages with Google translating tool. If you want to create the multilingual website, then this extension is a perfect choice. You can also add your custom code snippet to extend the extensions functionality. It is also helpful to target more customer all over around the world. This extension is one the most useful extension for Magento website. Instagram Widget is one of the most popular and free Magento 2 extension. It helps you to connect your Instagram account and with that, you can easily share photos or content. It is widget like a block so that it easily display anywhere on the website. This extension is the most powerful extension that takes your customers to the new level. It will boost your product through Instagram integration and get more traffic to your website. EMI Calculation Pro is a necessary extension for every eCommerce portal. This extension displays custom EMI options in product detail page as a popup. This extension display EMI tenure, bank interest rate, monthly installments, etc. It comes with various configuration options to customize the EMI table. It displays EMI options link on each product detail page with a popup. It also automatically calculates the EMI from backend with percentage option. Easy Contact Form Widget is a free Magento 2 extension that helps the store owner to integrate a contact or inquiry form as a widget. A contact or feedback form can display at any place using a widget. It also provides the facility to enter title and short description about the form. You can also create the custom email template for the contact. It is a fully customizable extension that even beginner can easily set up. The magnified image helps your customer get better visibility of a particular product. This is a premium extension that allows your visitors to get a clear view of the product with zoom facility. It requires no clicking, just by hovering over the small image, your customer can get the clear zoom in and zoom out preview facility. 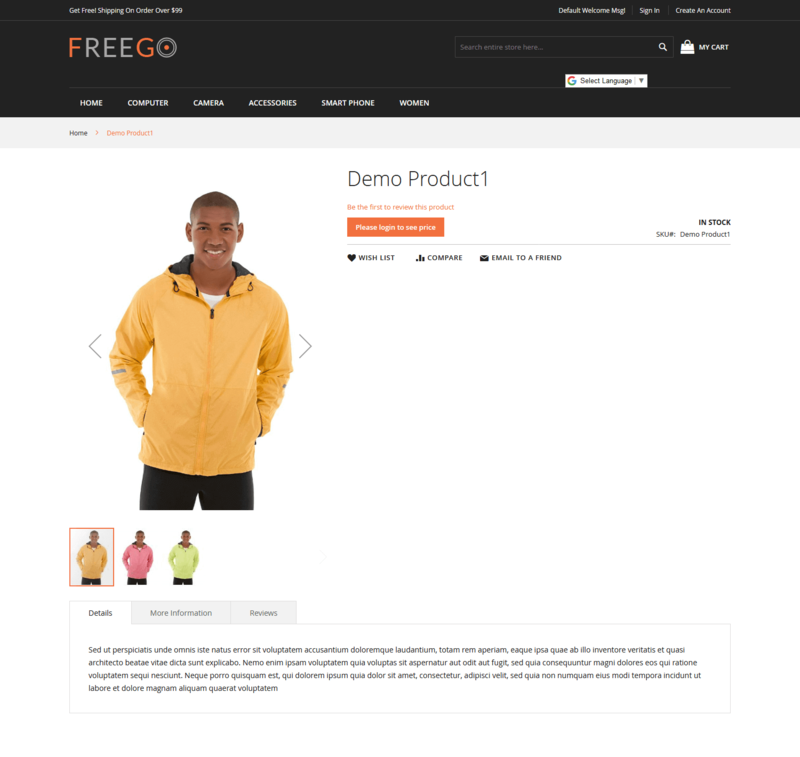 It enables your customer to view product image in a neat and clear way. Scroll To Top allows your customer to scroll up the page from bottom to top with just a single click. This extension is especially used when you are running along page eCommerce website. It’s a time-consuming task to scroll up from the button of the site if your webpage is too long. And it makes your customer fill uneasiness to reach to the top of the page by way scrolling. So by using this wonderful extension, your customer will be more comfortable and enjoyable while shopping in your e-Store. Sold Out Label – Magento 2 extension is specifically developed by keeping in mind the customers having an online store with a limited quantity of products. With the help of this extension, you can have “Sold Out Label“ when product quantity is zero. The store owner or admin can set the label as either text or image. The owner can also set label position in different ways such as Top Left, Top Center, Top Right, Middle Left, Middle Center, Bottom Left, etc. Request For Quote Magento 2 extension is for those who want to purchase any product in bulk with negotiation price. It facilitates your visitors to request the quote for a particular product with their desired price and quantity they would like to purchase. You can say it’s the best choice for any online entrepreneurs to encourage their customer to buy products in large quantity effectively. 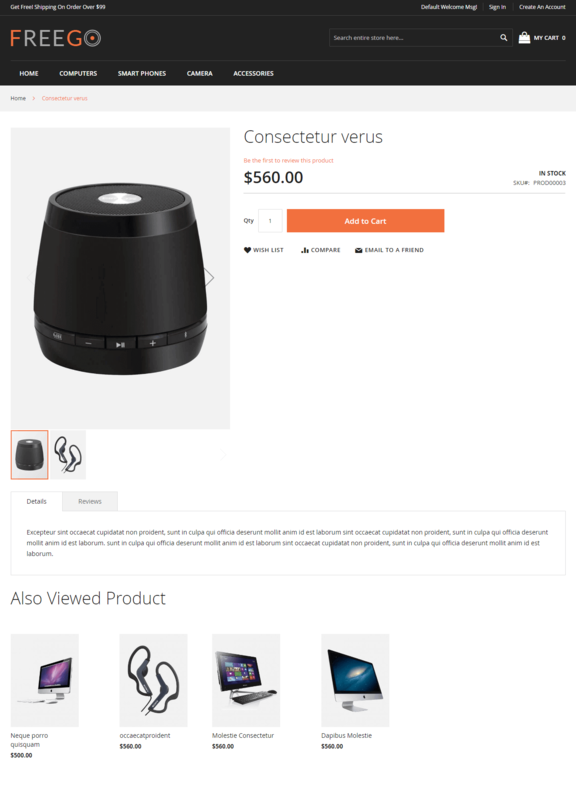 Most viewed Product allows you to display a specified number of products in a grid layout. Those products are presents on the most viewed block on the homepage. It also displays in a slider with navigation arrows. This extension quickly attracts visitors attention. 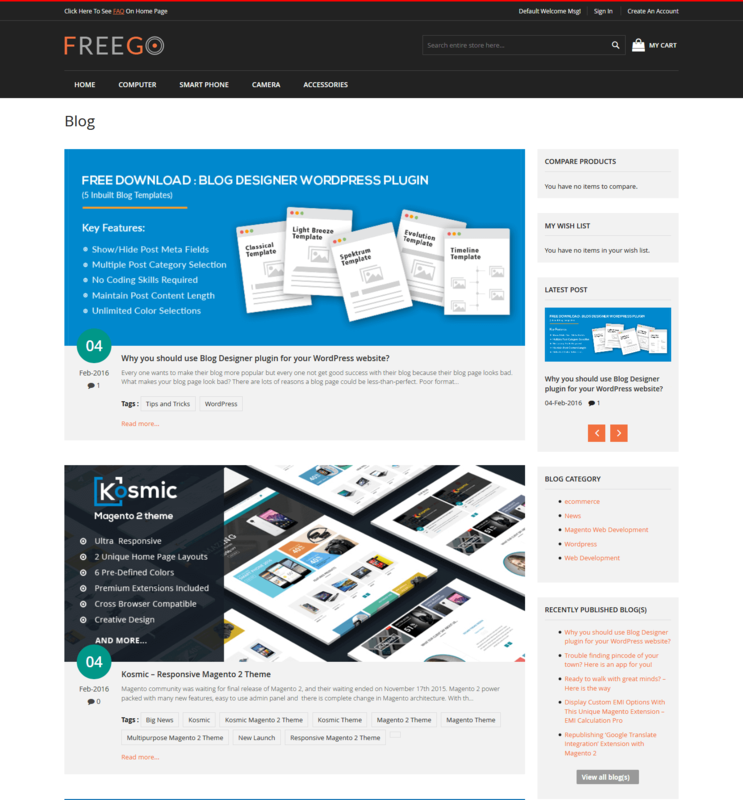 It is the user-friendly extension that showcase product in an eye-catching way. 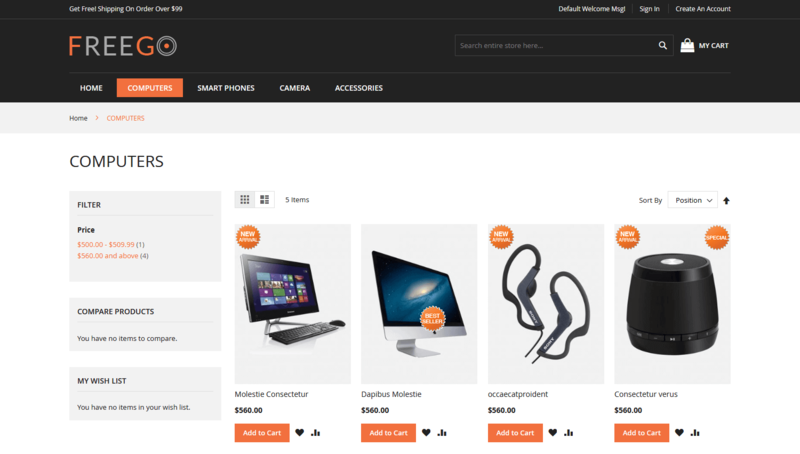 The store owner can also set the product limit on homepage and sidebar. Feedback always helps to improve your store. This Customer feedback Magento 2 extension enhance the shopper’s experience by adding feedback form in every page of the website. This Feedback Form is configured with Google recaptcha functionality to protect the website from spamming submission. It helps to set the feedback form in an open style that is on click or hover. It allows the customer to write the feedback in the manner they want. In this article, we have included result oriented and most successful Magento 2 extensions for your eCommerce store. If you find any other extension to be included in this list. Mention the extensions in the comment section below. 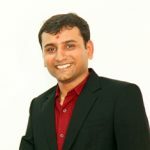 What are the Latest Magento Development Trends for 2019?